The LCL scheme is managed by the British Caving Association and provides an award recognising the competence of those wishing to take responsibility for others underground, for the benefit of employers or others in authority. A two day training course looking at party management, cave development processes, weather, risk assessments, basic ropework, emergency procedures, conservation and access in a horizontal system. Following on from the Level 1 which is based in horizontal systems this is a two day training course looking at vertical skills for personal SRT progression and ladder/lifeline and abseil progression for group members. Party management, vertical techniques, rescues. 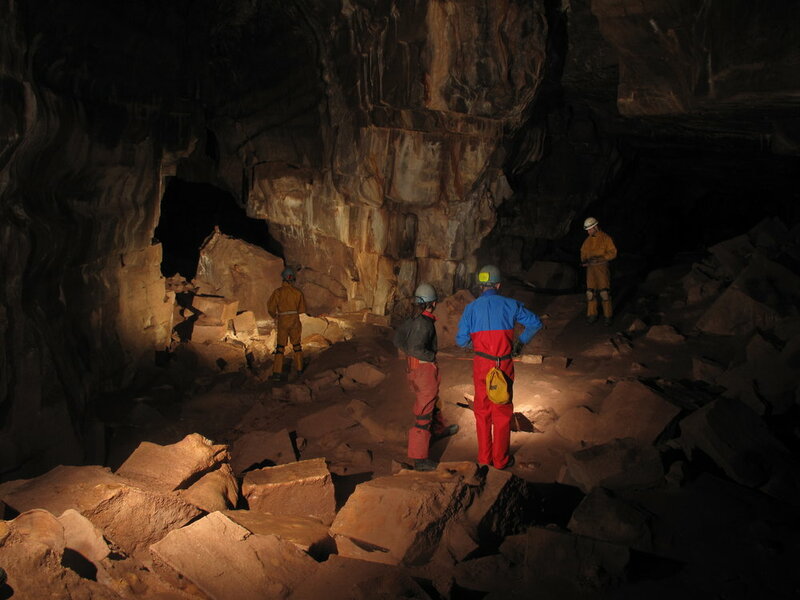 This is the highest instructing award designed for those involved in introducing others to caving, passing technical skills on to others and instructing in a variety of different caves at different technical levels. An extended day looking at navigation, speleogenesis, weather, geology, ropework in horizontal systems and risk assessment and emergency procedures. A day looking at vertical techniques and rescues at a climbing wall, followed by a similar day underground. A coaching day usually involving some students to work with. Richard can assess LCL level 1 and 2 and the Cave Instructor Award. Dates available on request. Richard can offer bespoke training to individuals or small groups or clubs. He has worked 1:1 on SRT training, SRT rigging and SRT rescues. Richard has also run various SRT workshops for clubs. Richard delivers one to one SRT training, SRT rigging and SRT rescues. Richard has also delivers various SRT workshops for clubs. SRT intro usually 2 days looking at SRT kits and basic vertical progression at a climbing wall or similar one day followed by an underground the next. SRT refresher- a one day indoors workshop. SRT rigging- 2 days, one indoors and one underground looking at knots, anchors and a variety of rigging techniques. SRT rescues one day based indoors looking at user friendly rigging and rescue scenarios, particularly useful for refresher for instructors or those going on expedition. Adult groups and family groups. Small groups can be taken into some of the simpler cave systems to introduce them to the magical world underneath our feet. You will need warm clothes and enthusiasm.